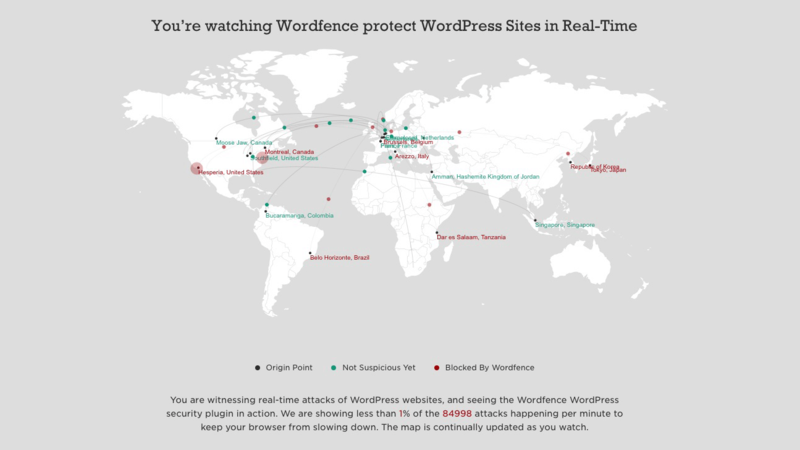 WordFence is the leading cyber security solution for WordPress. It offers a complete anti-virus and firewall package for your WordPress website and has been downloaded by happy users over 22 million times to date. The standard free version that we install offers a lot of security features and protection already built-in. This is why it is one of the very first items we install on all of the websites we design and develop! While we offer the standard version for free, you can upgrade to the premium version for $8.25 per month (one-year prepaid). We do not mark this up – it’s the same price as what WordFence charges, we just handle the technical stuff for you. This premium version includes enterprise WordPress security features like two-factor authentication and country blocking. We highly recommend you consider this, for all of the wonderful features it offers for the low price! You can learn more about WordFence by clicking here. * In a handful of cases we have found some clients’ hosting companies are incompatible with WordFence, which is a shame. In those cases, we have substituted a similar security plug-in. ** Please note, we are not responsible if something you do while working in WordFence causes your site to go down. While rare, if you aren’t careful you could cause something to “break,” which would require us to fix the problem at an additional charge. This is one of the reasons we suggest a Maintenance Package since we take care of all of these details for you.